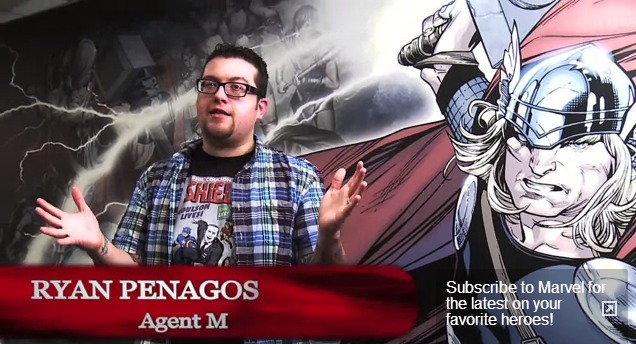 Marvel's Agent M joins Executive Editor Tom Brevoort, talent scout C.B. Cebulski and editors Ellie Pyle and Jordan D. White in Chicago, from April 26-28, for C2E2 2013! Will you be at the convention as well? What are you most looking forward to seeing from Marvel at C2E2? Let us know in the comments below or on Twitter by tweeting @Marvel or using the hashtag #MarvelC2E2! Click HERE for more C2E2 events! Jedi Mouseketeer and the Sorcerer Radio Network will be covering C2E2 2013! Read more about our live coverage HERE! Check out the listing of 2013 Jedi Mouseketeer Events and Convention Coverage! Filming Captain America Sequel - New Pictures! What is to Beat "Avengers"? "Iron Man 3" ! Be Brave in Scotland - Disney Style! Sequel to Brave I hear the Highlands Calling Now!